New rumors have emerged that the iPhone 7 could not be a significant departure from the iPhone 6S design language. This is partly down to Apple set to go all guns blazing in 2017. Apple is reportedly ready to skip the iPhone 7S and go straight into the iPhone 8. Slowing demand for its iPad range coupled with the iPhone 6S not generating much sales are thought to be the primary reasons behind Apple being keen on introducing a number of new aspects in 2017. Rather than offer a slew of features in the iPhone 7S, Apple reportedly feel that iPhone 8 would be a better proposition. The launch of this device could be fast tracked by up to a year. New rumors indicate that the fast-tracked iPhone 8 could return to glass as the material for construction over aluminum. iPhones have come with aluminum throughout the body since the iPhone 5 in 2012. 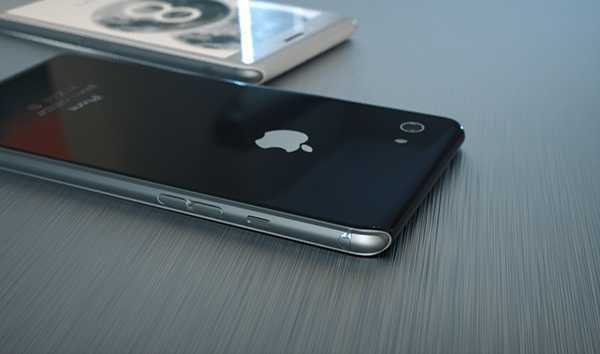 A move back to glass body will be a throwback to phones like the iPhone 4 and iPhone 4S. However, Apple reportedly said this move as a defining feature since many smartphone manufacturers have now moved to aluminum. The differences between an iPhone and android smartphone from any other manufacturer is now limited in terms of the exterior materials used. Further, Apple are also ready to switch to a new display technology – OLED. It was recently revealed that the American giant had once again revived its collaboration with Samsung. The duo have agreed a deal worth around $1 billion and it will see Samsung start supplying Apple with OLED panels from 2017. A huge number of panels have been ordered by Apple, who may be thinking about using these panels on all future iPhones. OLED allow greater flexibility in terms of design and the possibility of seeing an iPhone with curved glass may not be long away. The Samsung Galaxy S7 Edge comes with a 5.7-inch screen, but it is barely larger than the Galaxy S7. This is done by the reduction of bezels and having a curved display. The use of OLED may allow Apple to increase the screen size of its ‘Plus’ models to 5.8 inches. The possibility of this line-up being named as the iPhone Pro cannot be ruled out. Wireless charging is also set to be introduced on the iPhone 8.